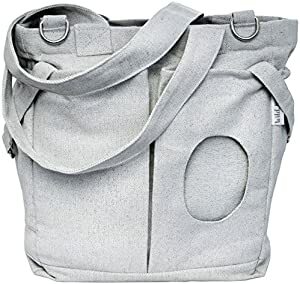 Below are the Amazon Giveaways for today featuring products for kids including this Wild Baby diaper bag. Most giveaways give discount codes just for trying. Good luck! Now through September 26, Build a Bear is having a comic book day flash sale with up to 50% off related items. The cheapest stuffies are the Guardian of the Galaxy Mega Minis for only $6 (regularly $10). 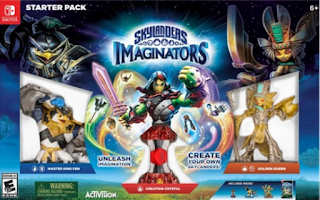 Best Buy has the Skylanders Imaginators Starter Pack for the Nintendo Switch on clearance for only $21.99 (regularly $59.99). 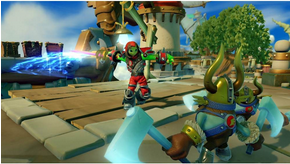 Create your own Skylanders to battle in the ultimate adventure alongside the almighty Senseis to save Skylands. With Skylanders Imaginators on the Nintendo Switch players can easily load and store their Skylanders toys directly to the digital library feature in the game using the Joy-Con controller. The Disney Store has reduced the price of many of their baby costumes for Halloween. 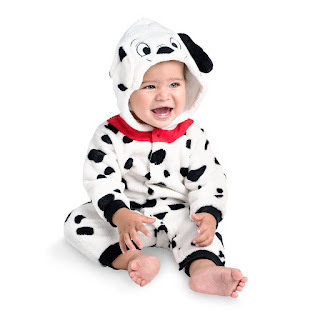 The best deal is one of the 101 dalmatians costume for only $5.99 (regularly $24.95). There are currently 14 costumes under $8. Walmart has the Little People Fire truck on sale for $9.84 (was $14.99). 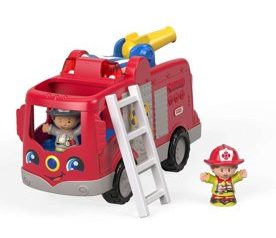 This is a fun interactive fire truck perfect for toddlers. Pressing down on the driver's seat will make realistic sounds, phrases, and fun songs about teamwork and helping others. While turning the disc will activate the emergency lights and to make the hose spin. 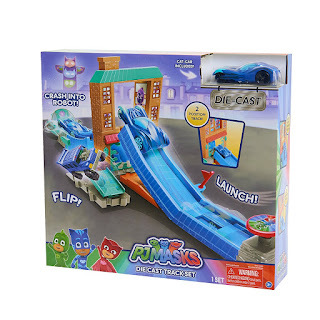 Amazon has the PJ Masks Playset on sale at half off for only $9.97 (regularly $19.99). Kids can get ready for action packed racing adventure with the PJ masks die-cast track set. Party City has crocheted baby costumes on sale for $4.99. There are 4 different kinds to choose from including a football, Mickey and Minnie Mouse and The Incredibles. BestBuy has the Maden NFL 2019 Game on PlayStation 4 or Xbox One for just $39.99 (regularly $59.99). Madden NFL 19 offers more precision and control to win in all the ways you play. Prove your on-field stick-skills with more control over every step in game-changing moments through the introduction of Real Player Motion. Take control over how you build your dynasty powered by all-new strategic team building tools and the custom draft class editor. Dominate the competition with all-new ways to build and progress your NFL stars from the past and present in Ultimate Team. Teach your Monster to Read is a groundbreaking game that makes learning to read fun. It covers everything from letters and sounds to reading full sentences and is designed in collaboration with leading academics, it complements all synthetic phonics programs used in schools. 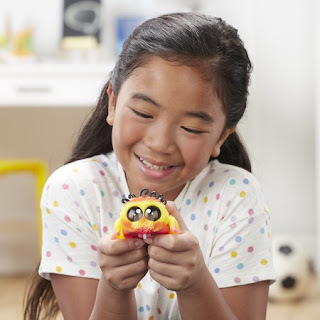 Kids create a monster and take it on an adventure through a magical world. 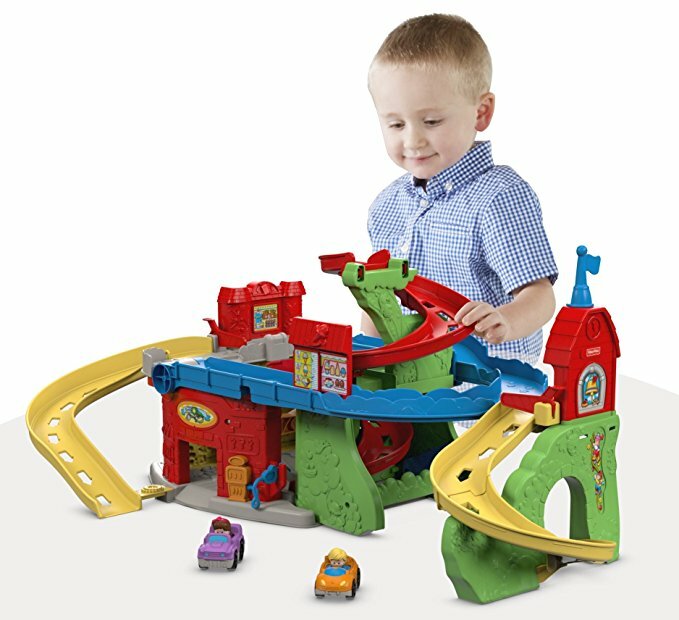 They travel to exciting places, meet fun characters, play games and win prizes as while they learn the first steps of reading. 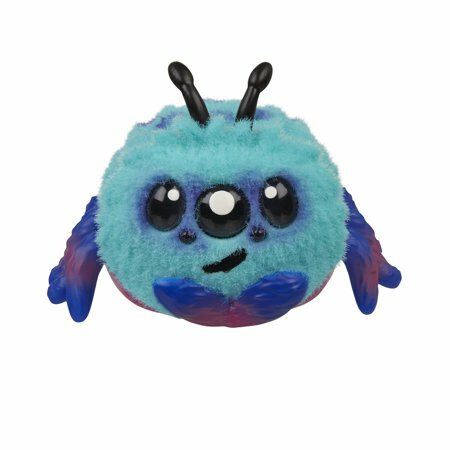 Walmart has just listed Yellies the voice activated spider toy for preorder to be released on October 10. 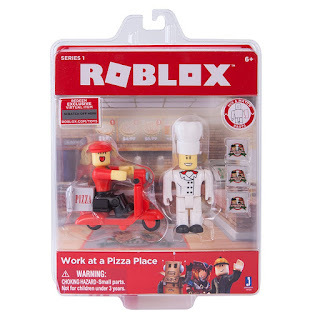 They are listed for $14.97. Yellies are the cutest, fuzziest pets that respond to your voice. Each pet has its own unique look and personality and is full of fun surprises. Voice and sound-activated, they respond to talking, yelling, clapping, singing, or even music. The louder you yell, the faster they go. 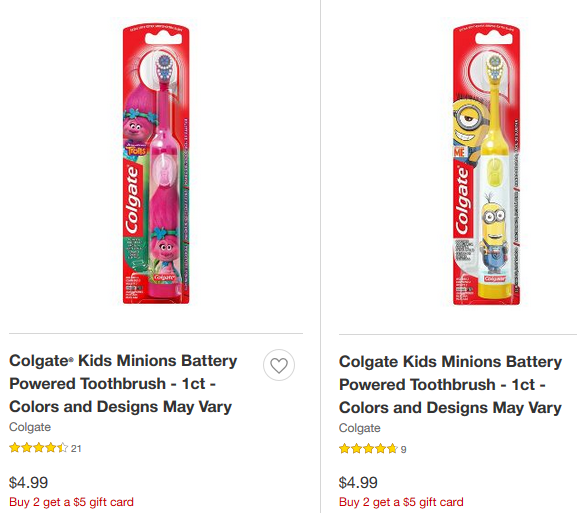 Through September 29, Target is offering a $5 gift card when you buy 2 Colgate kids electric toothbrushes at $4.99. 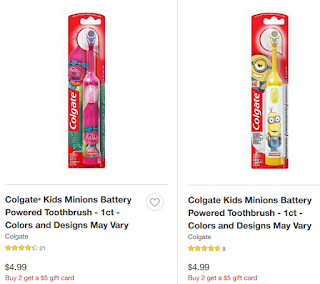 There are 4 toothbrushes to choose from including trolls, minions and peppa pig. 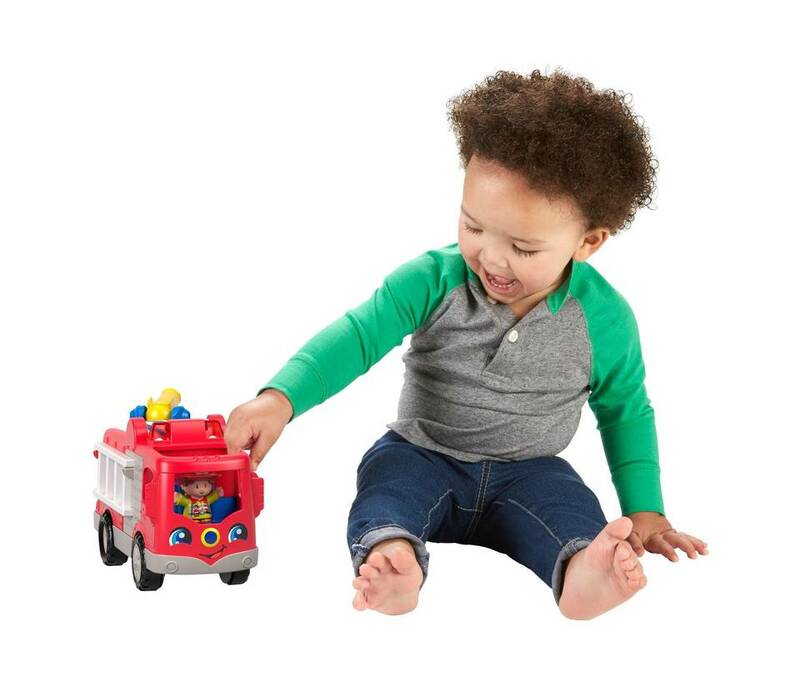 Today only, carters.com is having a 55% off everything sale and free shipping on every order. This sale is online only. They are also offering 60% off select styles of select pajamas with prices starting at $7.20 for babies, $8.00 for toddlers and $16.80 for kids (this price is for 2 pair). 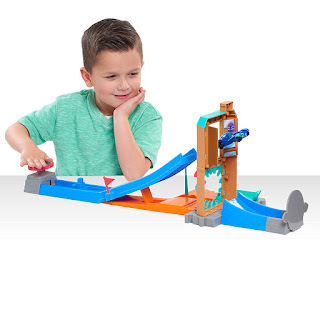 Amazon has the Fisher-Price Little People Sit 'n Stand Skyway for only $19.92 (regularly $39.99). Start out as a town, where kids can drive the cars through the car wash, fill up at the gas pump and lift the gates to get their cars down the ramps. 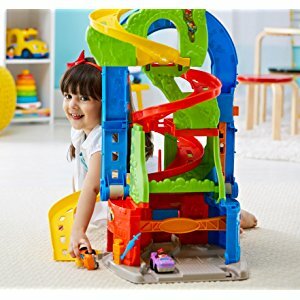 Transform it into a Skyway and kids can place the cars at the top and let them down the spiral ramps. Walmart has rolledback the price of the Recoil Laser Combat set to only $38.88 (regularly $129.99) with free shipping. With this set you can any location into an immersive GPS-enabled battlefield. It features real-time player tracking for up to 16 players and 3D positional audio that allows players to hear exactly where the enemy is coming from. 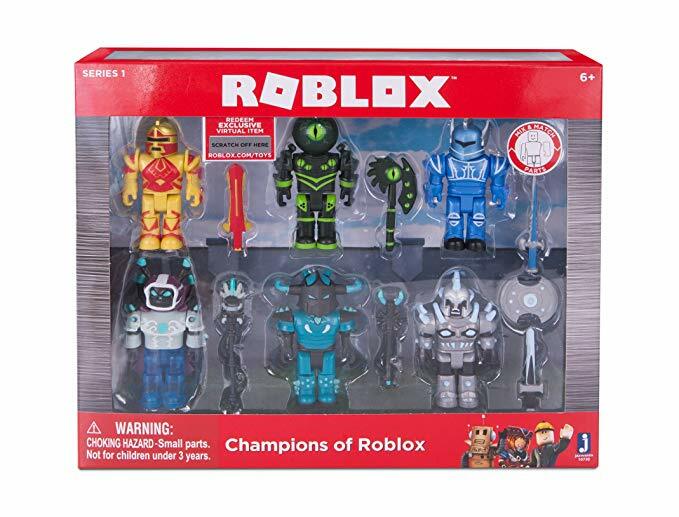 Head to Amazon where they have 36 sets of Roblox Figures on sale for up to 55% off so you can take your favorite Roblox adventures off the screen and into the real world. The best deal is the Champions of Roblox 6 figure set for $8.99 (regularly $19.99). The least expensive item is the Roblox work at a pizza place game on sale for $6.84 (regularly $12.99). Now through September 29th, Target is having a buy 2 get 1 free sale at Target with more than 70 items included. This offer is available both in stores and online. 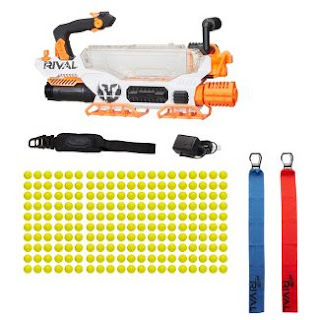 The most expensive item included in the sale is the Nerf Rival Prometheus MXVIII 20K Blaster for $199.99. 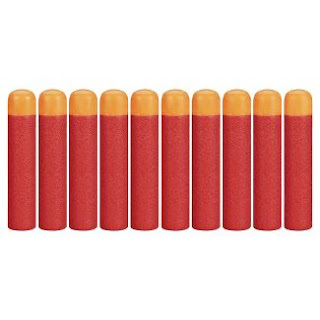 And the least expensive is the Nerf N Strike Elite Mega Series 10 Dart Refill Pack for $4.89.